Being a professional and amateur photographer demands that you remain up to date with the latest gadgets and accessories. But sometimes it can be hard to figure out ‘what is worth your time.’ Well, the folks at Resource Magazine have decided to make your lives a little easier: here are 22 awesome gadgets and accessories that we think you should own. 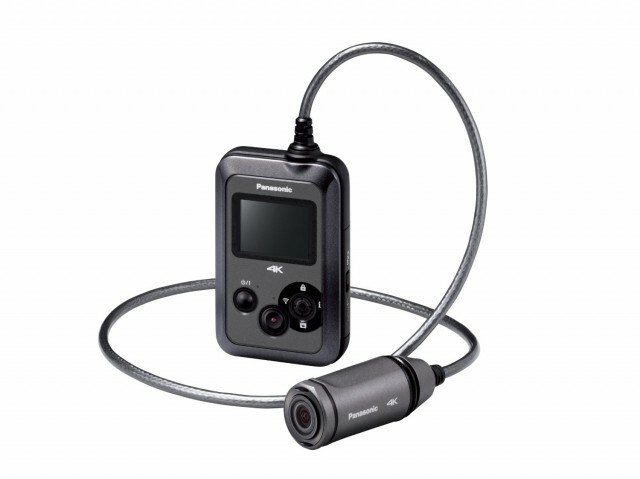 The Panasonic HX-A500H has a sleek design that can mount to a user’s ear making it easy for users to operate the camera on the go. Additionally, the camera has built in Wi-Fi, which allows on the spot uploading with a smart phone and it shoots in 4K!!!. Finally, the waterproof casing makes this camera the biggest adversary to GoPro. The Sony DSC-QX10/W lens promises to easily sync to your Android and iOS systems, but it also comes with an accessible design that snaps in and out of place on said phone. And once connected, the lens gives any android or apple phone the ability to turn into a 10x zoom camera. Obviously, the $250 price tag ensures that this product is for the photography lovers, but it is an easy to use item for those who do not want the hassle of lugging around a heavy camera. The iPro Lens Kit from Schneider Optics, which is available for the Android, iPhones and iPads, provides a semi-cheaper option than the above Sony brand. While the price tag still crosses the two hundred dollar threshold, the lenses are easier to carry and provide the photographer with more options: there are super wide, wide angle and fisheeye lenses, on top of the normal everyday lens. HibJib is the revolutionary product that turns any basic tripod into a jibarm; this conversion gives the cameraman the ability to seamlessly produce smooth camera movements, as well as, easily shoot from a top-down perspective. The HibJib itself ways less than a pound and attaches to the waist of the user and for comfort the company recommends that the camera be 6.6 pounds or less. Unfortunately, the HibJib is unavailable in U.S. markets, but it can be purchased overseas with reasonable shipping and handling fees. Giotto’s Rocket-air is a simple to use air blower that allows photographers to remove pesky dust and sand with ease. The patented design of this ‘super blower’ allows the rocket-shaped device to stand upright and contains an air valve that prevents it from being contaminated with dust. At this point most photographers, professionals and enthusiasts, know the quality of Joby’s Gorillapods; the sleek design gives the user an adaptable tripod, available in a plethora of sizes these super portable pods are perfect for securing cameras of all sizes to just about anything because the leg joints bend and permit photographers to shape the tripod in countless ways. While this is not exactly an accessory for photographers, the Mikey Digital Recording Microphone from Blue Microphones is a must have for those pursuing journalism. Its design gives the consumer the power to plug in and use; and though it is solely made for the fourth generation of iPads and iPhones, Blue Microphone has partnered with Apple to sell their four to five adaptor. 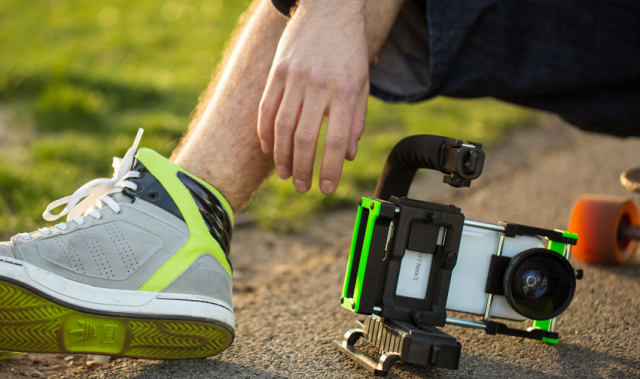 The MeFOTO RoadTrip is a killer tripod we can’t stop loving. 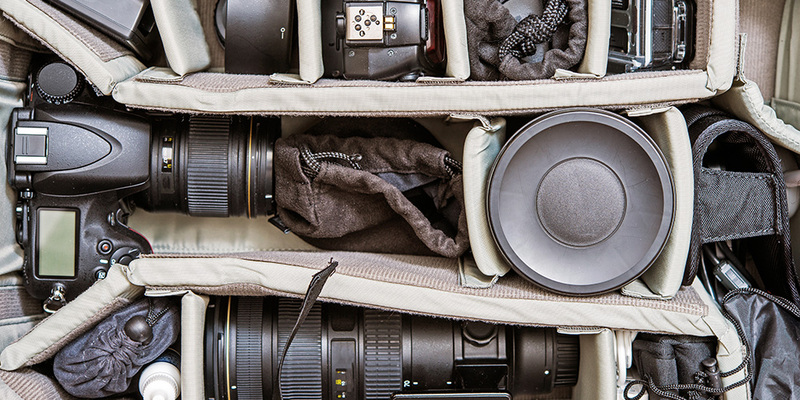 The fact that it’s available in 12 different colors gives photographers the ability to add a little flare and a personal touch to their gear but it’s portability is a really big selling point. At only 15.4 inches when folded the RoadTrip weighs less than 4lbs but can support an astonishing 17.6 pounds in camera weight. It also extends to nearly sixty-two inches. Best of all, the it can be all yours for around $189 in aluminum and $329 in carbon fiber. The Sidekick 360, which comes from the company behind the above Travel Tripod, is a brilliant invention that allows any phone photographer to attach his or her cellular device to any of MeFOTO’s tripods. The great part about the 360 is that its adjustable constraints adapts to almost all smartphones, which makes its fifty dollar price tag worth it. Are you tired of lugging around huge bounce boards? Well, Photoflex’s Pocket Reflector is the perfect invention for you. The 12-inch foldable disk contains two sides that both capture ambient lighting differently: for instance, the above picture is a disc that has a soft gold and white side. And best of all, compared to disposable bounce boards, this is only a one time purchase of fourteen dollars. ExpoImaging prides itself on the Flashbender because of its ease of use; any photographer can take it directly out of the packaging and use it within minutes. 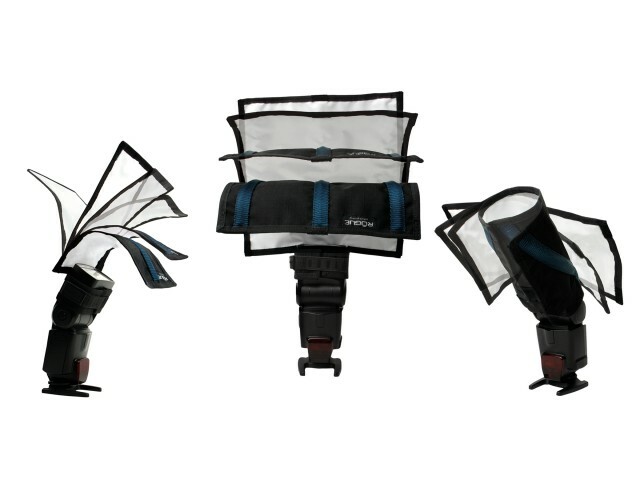 The Flashbender straps to almost any speedlite, large or small, and is made out of material that is easily molded in to shapes around the flash. Our favorite selling feature is the price! ExpoImaging makes this product extremely affordable coming in at around $40. This ‘on the go’ studio from OrangeMonkie allows everyday people to take studio quality pictures from anyplace and anytime. 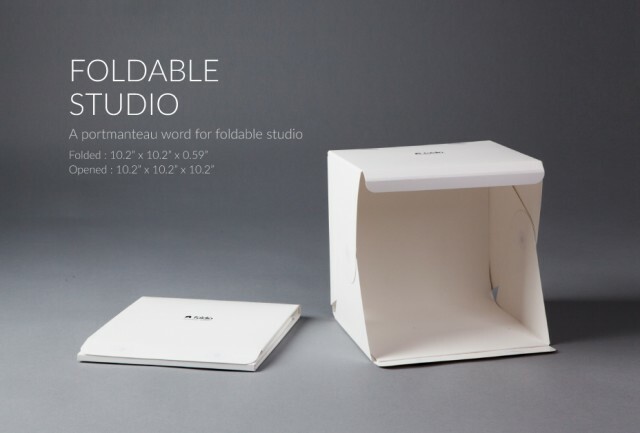 Furthermore, when it is folded, the studio is extremely sleek with its 10” by 10” dimensions, making it extremely simple to carry around. On top of this, it comes with an LED light strip, which is powered by a 9-volt battery. The Kickstarter funded FocusShifter DSLR Follow Focus, is an innovative product that allows photographers to easily switch between camera focuses. On top of that, it comes with an attachable dry erase board, which allows for any filmmaker to keep track of shots with multiple focuses. Finally, add a carrying case, dry erase marker, an attachable counter balance for the FocusShifter and you have a wonderfully dense product that costs fifty dollars. Another product that was used in the ‘Intelligent Details’ Bentley commercial, which was shot completely on a phone, the Beastgrip is a “universal/adjustable lens adapter and rig system for most camera phones.” Besides being able to mount it on a tripod, the Beastgrip comes with grips that would make any handheld shot simplistic. Unfortunately, due to high demand, this device is only available through pre-orders; but the seventy-five dollar product will likely ship two to four weeks after purchase. 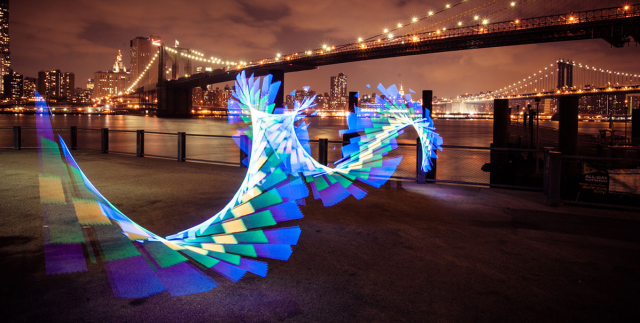 A device that is easier to show than explain, the Pixelstick is an LED light that can be manipulated to create cool designs within photos. The best part is that these seemingly complicated designs are easily created; and all you need is a pixelstick, a camera with a long exposure mode and your own imagination. Again, like the Beastgrip, the Pixelstick is only available through pre-order, however, if you place your order now, you should receive it by late July 2014. The 3000 W Triple 5 Socket Softbox Background Kit is by far one of the best deals we’ve come across for enthusiast and emerging photographers. The kit includes three 7’6” light stands, three 1000W light sockets, fifteen 45W photo fluorescent bulbs, a background support system, and three muslin background options to choose from, black, white and green. One would assume, with all of this gear, you’d be looking at hundreds if not thousands of dollars. Guess what? It’s all yours for around $280. The Kick Photo & Video Light from Rift Labs is an easy to use lighting source for iOS and Android phones, as well as, most camera devices. Besides providing normal light to brighten up a photo, the Kick has animated effects, which can spruce up any boring photo or film shoot. Furthermore, this miniature lighting source is easy to carry and could be used with a tripod or by hand. If you are too impatient to wait for the Beastgrip, you can purchase the ALM mCAMLITE Stabilizer Mount. While it has the same features as the previously mentioned Beastgrip—easy to grip handles for handheld shoots, the ability to connect to Tripods and a lens adaptor—it does come with a steeper asking price of $130. However, this product’s draw is its 180-degree external microphone. Unfortunately, ALM only created mounts for specific phones: so an iPhone and android mCAMLITE are sold separately. For my friends who love to spend cash, this Panasonic Toughpad Tablet with a 20-inch touch screen and a Windows 8.1 processor is the perfect purchase. According to Panasonic, this is the world’s only 4K tablet and its processing power makes it a prime example of a tablet surpassing a personal laptop. Unfortunately, this tablet is worth over five grand; but for those who can afford it, it is an amazing piece of hardware. A go-to for the Resource road crew, the sleekly designed Lowepro Hatchback 16L AW is the perfect backpack for any enthusiast or professional photographer on the go. This product contains multiple key features, including: multi-functional compartments, a removable padded camera box, hatchpack openings, a front stash pocket, water bottle side pocket, built-in memory card pocket, built-in All Weather AW Cover and plenty more. And most importantly, this totally compact backpack is available from Lowepro for around $80!